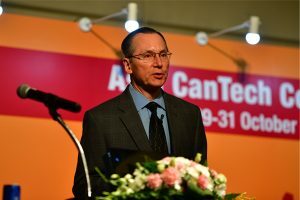 The British Aerosol Manufacturers’ Association (BAMA) has announced Dorset Local authorities as the winner of its Can Do Awards 2011. The awards recognise and reward the best local authority recycling campaigns that include empty aerosols. Dorset local authorities comprises of a partnership between Dorset Waste Partnership, Bournemouth Borough Council, Borough of Poole, Weymouth and Portland Borough Council and West Dorset District Council. 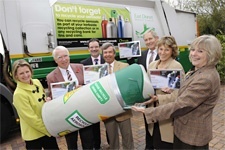 BAMA is the leading trade association for the aerosols sector and the Can Do Awards, now in their 3rd year, celebrate and reward local authorities that show exemplary practice in communicating to householders the benefits of recycling aerosols. Director of BAMA Sue Rogers made the presentation in Christchurch where representatives from each of the five partnership councils were present. The Dorset Local authorities were awarded the covetable prize of a £1,200 changeable graphic display system for a recycling vehicle, donated by BAMA’s prize sponsor, Epic Media Group. This will provide one customised graphic which will act as an advertisement on a vehicle for a three-year period, as well as an engraved trophy and a framed certificate. This year, BAMA also presented two highly commended awards. One to Scarborough Borough Council and the other to Epping Forest District Council. The Can Do Awards form part of a long-term and highly successful campaign initiated by BAMA. Since 2001, the proportion of local authorities that include empty aerosols for recycling has significantly improved, from approximately 7 per cent to 83 per cent now. 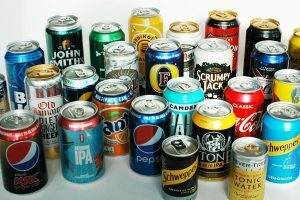 Research shows that many consumers are still not aware that they can recycle their empty aerosols with their other metal recyclables. 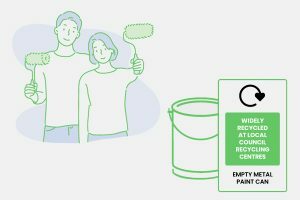 BAMA’s long-standing campaign has helped encourage over four-fifths of all local authorities to recycle empty aerosols from households.